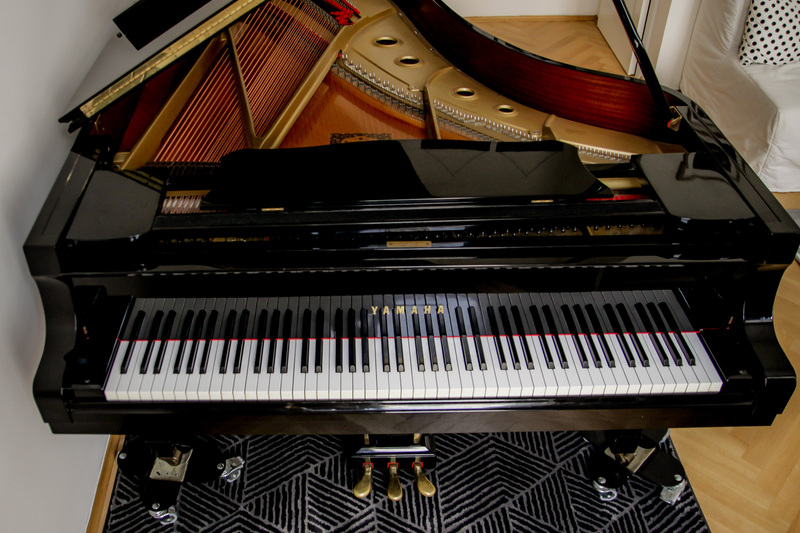 To get the most out of piano playing regular lessons are of great importance. I expect my students to take piano lessons seriously as well as practice every day. Parents should support their youngest children and sit in on their child’s lesson to get an insight of what we’re working on and to better aid them in their practice at home. My prices are based on the Viennese average for instrumental private lessons. The summer subscription consists of 4 lessons, which are distributed over 2 months. For getting to know each other offer a one-time trial lesson. *Please understand that piano lessons/trial lessons cancelled less than 48 hours in advance will be charged. **An average of 34 lessons are taught within a school year (17/semester) scheduled at the same time every week. There are no lessons during Viennese school holidays. Entry is possible during a semester in progress, when slots are available, costs are calculated pro rata in this case. Lessons missed or cancelled by a student will not be reimbursed. Lessons cancelled by the teachers will be reimbursed only if they fall below the guaranteed minimum of 16 units per semester. Winter semester stretches from September until the end of January, summer semester from February until the end of June. Payment is due at the beginning of each semester, monthly payment is also possible. Instead of 50 minutes, children can also choose 2 x 30 minutes per week, costs are the same. ***4 units are agreed upon at the beginning of the summer holidays and can be rescheduled if you let me know up to 48 hours in advance. Otherwise the lesson will expire.